ICYMI, walking is totally free. Stroll your way around the cobblestones of El Caminito, the most famous street in Buenos Aires, and get to know this quirky, bustling neighbourhood. You'll find colourful shanty houses and plenty of music to complement the art and street tango dancing. 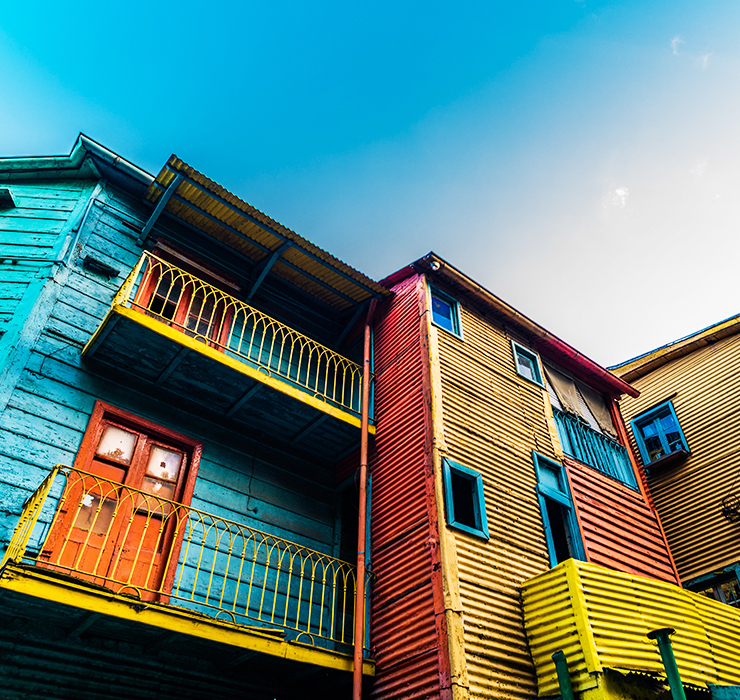 If you want a little history of this fascinating area, step into a walking tour (our fave is Turismo Buenos Aires tours) – they are usually run on a pay what you want basis. Who would have thought waterfalls could be so cool but trust us, this waterfall is. Head to whichever side you’re closest to (they fall over both Brazil and Argentina) and stand there in shock at how this natural wonder works. The falls are so strong, you can feel them! Hot tip: from Buenos Aires, getting a plane there will be cheapest (around $180 AUD) and will save you 15+ hours on a bus. Putting a parilla on your South America bucket list is a must. Parilla means steakhouse and is the most authentic style of restaurant you can find in Argentina. Known for serving up a killer cuts of beef (obvs) straight off the grill, order one of everything, or as much as you can handle, and let the meat sweats roll. We're telling you now, your tastebuds will thank you. Parilla Pena, La Cabrera and Las Cabras are all excellent places to start. There’s no point going to Argentina without learning how to tango. Grab your mate or a date and hit the dance floor with the help of local instructors, like the crew at Tangostreets. Not only will you be burning calories while on holiday #thedream, you’ll have some sick new skills to show off back home. If you’re not up to cutting a rug, head to the live tango show in San Telmo on a Sunday and let the pros do it for you in the streets for free. Cartagena is a absolute hidden gem. One of the most unexpectedly romantic cities in the world with gorgeous old buildings, bright overflowing bougainvillea, and stunning beaches. Spend as many days as you want lounging around the coastal town and forget about real life. Only drink margaritas if you can afford them (FYI: you can). If there’s only one thing you eat in South America make sure it’s ceviche and make sure you eat it in Colombia. What is ceviche, we hear you ask? Think the freshest of the fresh raw fish marinated in juicy citrus juice, with onion, chilli and coriander. It's a simple dish but so freakin’ delicious. Oh, and it’s cheap as chips (depending where you are, maybe even cheaper). Ohhh sunsets. So beautiful. So colourful. So 100% free. Wellll, kind of. 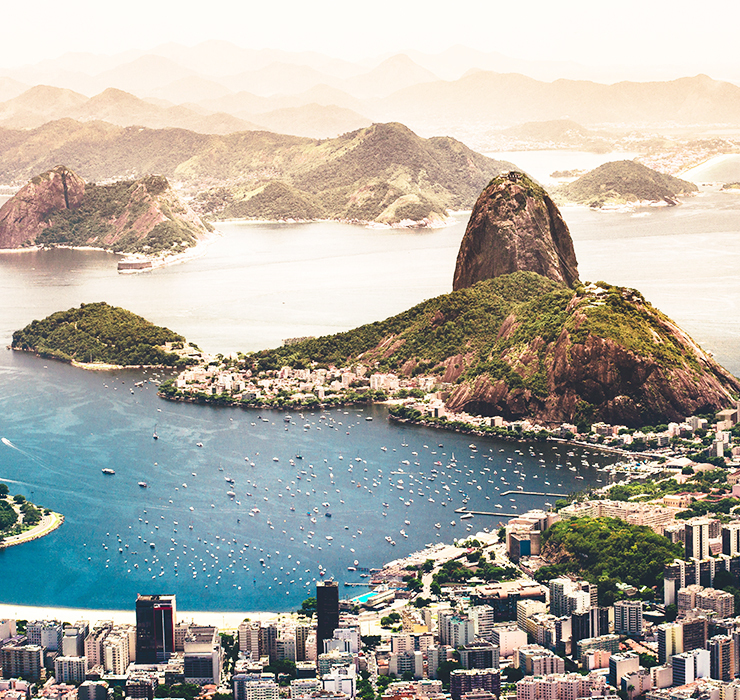 For the price of avo on toast and coffee in Sydney, you can get yourself not one but two cable cars up Sugar Loaf Mountain and watch the sun go down at one of the most stunning spots in the world, overlooking Rio de Janeiro. Coconuts are cheaper than water in Brazil. So spend a day by the beach in your Brazilian bikini (or mankini? ), frolicking in the waves and sipping on your fave fruit - because unlike Australia, they serve all kinds of delicious drinks and foreign foods on the beaches of Brazil. Best of all, enjoy the people watching. Rio locals of all ages flock to the beach and it's a great way to learn about their super laid-back lifestyle. If you want to experience true Latino culture, than a fútbol game needs to be on your bucket list. Treat yourself to a Fluminense FC supporter’s jersey, then get amongst the crazy and pretend you’re a local. You don’t even have to go inside to take part This is a bucket list for a budget after all. You’re here for a good time, not a long time, so make the most of it by partying in Paraty, just south of Rio. Spend a morning exploring the old colonial town, with historic cobblestone streets that are void of auto traffic (no cars are allowed, only horses!). Afterwards, chill on the beach or jump on a party boat so you can explore the bay and drink booze at the same time. Wind down with cheap eats and some samba in the streets. You’re in South America and there’s no way you can go all that way and not see Machu Picchu. 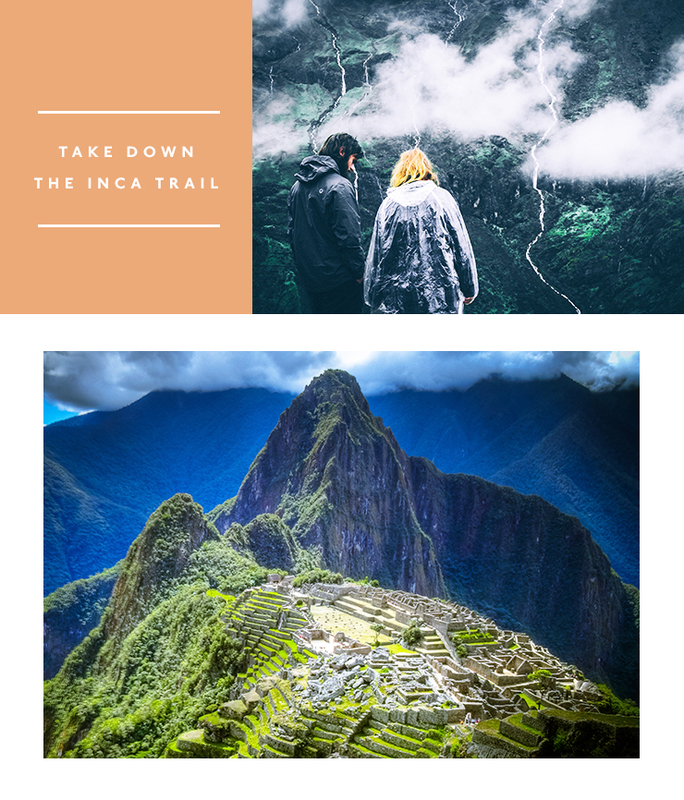 Even if you don’t want to do the Inca Trail, you need to. Think of how much you will save while you are stuck in the mountains with minimal supplies and no electricity. Make your way to Cusco to book your tour as they have the best deals and no, you cannot do this yourself but your Sherpa will become your best friend. Don’t forget band-aids. If there's one thing hostels are good for, it's partying and The Wild Rover in Cusco is definitely where the party is at. We're talking dancing on tables and tequila. See you there. If you’re going to live your life on the edge, you might as well do it for free (or close to it). 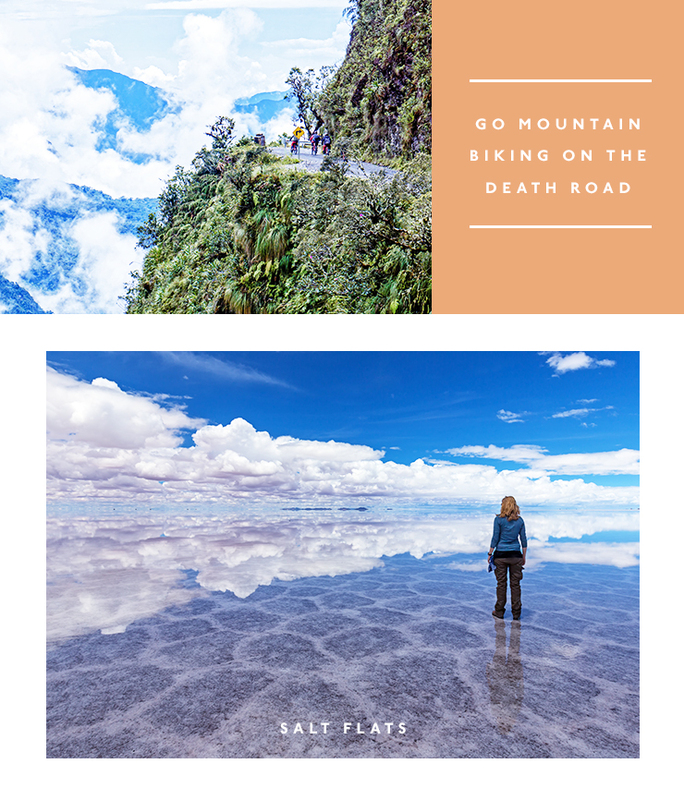 For next to nothing, you can hire a bike and take on the terrifying death road in Bolivia. The infamous narrow dirt road, formally known as Yungas Road, is 80km long and 15ft high. The views are incredible and once completed it’s defs one to brag about.. This one might be a little bit pricier than the others but it’s worth it (and still pretty cheap, LBH). Salar de Uyuni, as the Bolivians call it, is the largest salt flat in the world. Now a dried up prehistoric lake, it transforms into the world's largest mirror during the rainy season (December to April). Book yourself into a tour of your choice to stay within your budget, then let the guide do all the hard work while you focus on snapping the ultimate insta. FYI it will probs be cold so pack wisely. Editor's Note: This article is sponsored by Air New Zealand and endorsed by The Urban List. Thank you for supporting the sponsors who make The Urban List possible. To find out more about our editorial policy, click here.